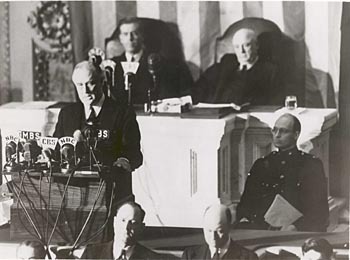 President Franklin Roosevelt asks Congress to declare war on Japan. The ambiguous pronoun makes it unclear which day Roosevelt was referring to — December 7 or “the next day” — but the record shows that was December 7 and that Roosevelt did not call it ‘a day of infamy’ but ‘a date that will live in infamy.’ The record also shows that Roosevelt did not mention Italy or Germany, both of which declared war on the United States about a month later. The title of this book is “You Stink!” It is a compilation of what the authors, Eric Wittenberg and Michael Aubrecht, regard as the worst teams, players, plays, and decisions in the history of major league baseball. In my opinion, the book is pointless and, despite the authors’ disclaimer to the contrary, mean spirited. What else but a mean spirit would prompt writers to spend their time compiling a monotonous stream of statistics to memorialize the failures and disappointments of one team and one player after another. There is nothing original about that, despite the author’s claim that their purpose was to write something original about baseball. Any baseball fan knows that there is much more failure than success in the game; reporting on the failures alone, without the context of the successes, is sophomoric. But, then, everything about this book is childish, which is especially jarring because of the credentials the writers present: one is an “award-winning Civil War historian,” and the other “dedicated his studies to the histories of Major League Baseball, the Civil War, and the American Revolution.” These history buffs report that the Brooklyn Dodgers won the 1953 World Series. It was the Yankees. There are grammatical errors, a few misspellings, and outrages in style that affect almost every sentence. There is a quote from Roger Maris used twice in the same chapter and numerous other lapses that suggest that this book and a competent editor were never in the same county. One of the most conspicuous signs that this book is headed for deep discount is the case of poor John Humphries, whom the authors singled out for opprobrium as the worst catcher of all time. Humphries appeared in a total of 103 games over two seasons in the 1880s. He played catcher in only 75 of those games. It is true that Humphries committed 74 errors in those 75 games, but no serious student of baseball would take into account such a short career in ranking fielders. To emphasize their point about Humphries, the writers included a photograph of him, except that any 15-year-old kid would know that that picture wasn’t taken in the 19th century. 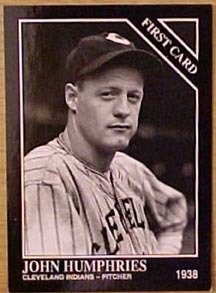 That’s a picture of the other John Humphries, who is in the photo above left, the John Humphries who pitched in the majors in the 1930s and 1940s. The John Humphries whose humiliation was probably sufficient without any help from these writers, is in the photo above. I think I’ll pass on the movie, too. Re: the adjectives – perhaps someone received a new thesaurus for his birthday. As for the tone, mean-spiritedness seems to be selling these days, even in the sports realm. I’ve stopped listening to my favorite sports talk station since they took their own turn toward snark. I don’t need to listen to people yelling at each other or ridiculing people. If I feel the need, there’s always politics. In 1974, the New Yorker ran an item in “Talk of the Town” about a New York Times obituary of a man named Fred Snodgrass, who had been a successful banker and rancher and served as mayor of Oxnard, California. In his younger days, played major league baseball for nine years. The headline on the Times obit was: “Fred Snodgrass, 86, Dead; Ball Player Muffed 1912 Fly.” It was a reference to an error Snodgrass made in a World Series game. To add insult to injury, the lead on the obit said Snodgrass had dropped an “easy” fly. As the New Yorker pointed out, those of us who never played major league baseball are lucky. When we pass after a long and not altogether fruitless life, the obit writer will overlook a misstep we made on a summer day when we were 26. 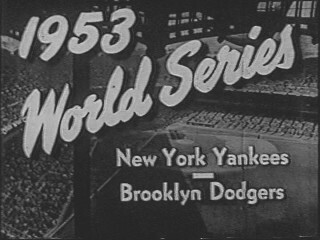 The Yankees did win the 1953 World Series. That portion of your review is incorrect.